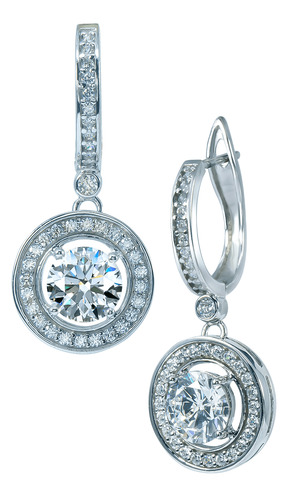 The Geneva 1.25 Carat Round Cubic Zirconia Halo Drop Pave Earrings feature a 1.25 carat 7mm round cubic zirconia center stone with beautiful pave set cubic zirconia round accents. Each earring measures slightly over an inch and a quarter in length and the diameter of the drop measures slightly over a half an inch. 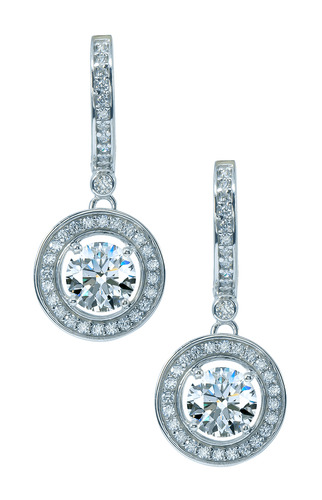 The Geneva Drops are a great addition to your earring collection. Dress them up, or wear them everyday! 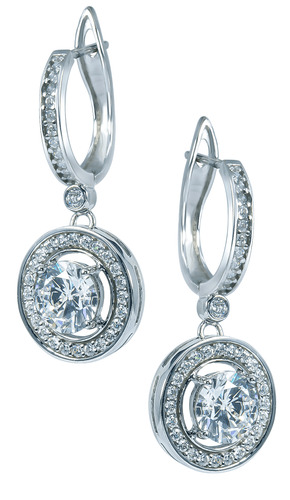 The total carat weight for each earring includes approximately 2 carats of the finest hand cut and hand polished original Russian formula cubic zirconia. 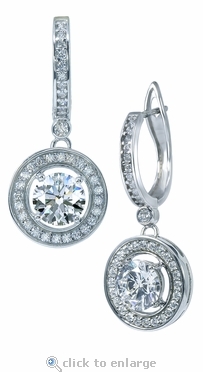 These specially priced earrings are only available in 14k white gold. To purchase the yellow gold option, please see item E1072. For further assistance, please contact us directly at 1-866-942-6663 or visit us via live chat and speak with a knowledgeable representative. This item is a clearance item. Due to extremely low pricing, all clearance items are a final sale..